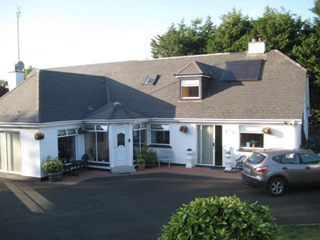 Welcome to our friendly Bed & Breakfast, a 5 minute drive from Maynooth in Kildare countryside, and officially approved by Failte Ireland and Ireland Tourist Board. Our home has en-suite rooms with TV, phone, free internet wifi and tea/coffee service. Rates are from 30 euro. We are open all year except Christmas. A private car park, garden, dining area, guest lounge and fax are available. Our accomodation is close to Carton golf club, and convenient to Maynooth University, historic Fitzgerald Castle, Intel and Hewlett Packard. If we may be of any further assistance or to make a reservation, please contact us.